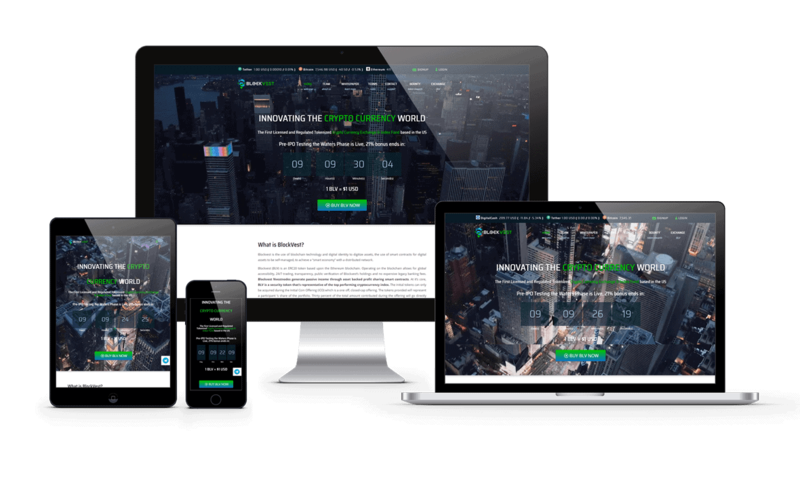 BlockVest LLC is The First Licensed and Regulated Tokenized Crypto Currency Exchange & Index Fund based in the US. This is company is creating a complete crypto platform, exchange and its corresponding issuance of BLV tokens, completely compliant with the US laws. The need arises to create an attractive website that reflects the essence of the company and its considerable project. Web Design, Web Maintenance, Consulting. I made a complete customized design of the website, based on the client’s standards and requirements. Many changes and customizations were made to achieve the level of the client. This is a corporate website, it acts as FrontEnd of the company information. It gives access to clients private area and Exchange. The purpose of the ICO is to obtain financing for the development of the cryptocurrency. There are significant calls to action accross the website to encourage clients.